Big things come in small packages! Enjoy the spunky little thing that is Tinkerbell, another in the Disney Princess line from Michelle Thompson. 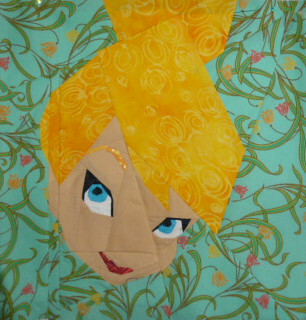 You can get this and many more fabulous patterns like it on our Disney page. Michelle is always looking for pattern testers to bring her awesome patterns to the Fandom In Stitches community just a little bit faster. Think you might be interested? Check out her blog here. Sprinkle some fairy dust in your life fan-designed Disney patterns are here!